Welcome to the first edition of our Newsletter on Using Mind Maps to be more successful for 2012. This month focuses on committing to using Mind Maps in 2012, as hold habits can be hard to kick. Free OpenSource Mind Map Software (Xmind) has served us well and is still our preferred starting point for 2012, even though the iPad is becoming quite a serious contender. Welcome to another year of Mind Mapping! After taking a long, wonderful break, I am finally ready to commit to 2012. In South Africa, we have Christmas in summer and I spent it in Durban, a sub-tropical paradise. There are some benefits living in an emerging market! Ok, I know! Tourism and the promotion of South Africa as a tourist destination is not what you want to about. Let’s get stuck into this month’s newsletter. This first newsletter of the year is to try and get you to commit to using Mind Maps more often and more effectively. You may already know all the benefits of Mind Mapping and how it naturally uses the whole brain in the process, but how often do you really use Mind Maps? Changing old habits can be very difficult, especially if you have been using it for many years. I have found that many people like the idea of Mind Mapping, agree that it’s far superior to linear note taking - and still use linear methods as their preferred method. You may find that it is difficult to let go of your old linear ways and we are therefore going to focus on moving from linear to radiant thinking in 2012. The best way to start, in my opinion, is to begin with using Mind Maps only for overviews, outlines, or frameworks and continue to use linear methods for the details. Mind Map Outlines can easily be converted to linear outlines and can also be converted from one form to another using various software packages. 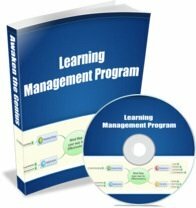 OPML (Outline Processor Markup Language) is also a standard that works well to convert between Linear Software products and Mind Map Software. Hopefully this will become a standard in the near future. Even if you are using hand drawn Mind Maps, you can easily create a linear outline from a Mind Map and vice versa. We found that a good linear method to use with Mind Maps is the Cornell Method, which can be found on our website in our article on Note Taking. Practice converting between Linear Notes and Mind Maps on a regular basis and soon you will be able to draw a Mind Map outline quite naturally. You may even find this becoming your preferred method of outlining. Once you find how easy it is to change a Mind Map outline, especially if you are using Mind Map Software, you may never want to go back to linear outlining again. You could even build your outlines with images and create wonderful visual outlines that are truly unforgettable. Your creative, artistic brain will then come alive and help you generate even more wonderful ideas in compact Mind Mapped outline format. So, all I am asking of you is to commit to using Mind Maps more during 2012 - and if you are struggling - to use if for outlines only. I will commit to creating Mind Map Tutors to help you in your education as well as your personal and work life. 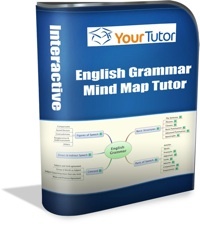 Mind Map Tutors have a Mind Map overview with linear details built in. If you are prepared to put in the effort, you will be able to shortcut your learning process and become more successful with less effort - and if you are prepared to do this, you may want to look at some of our methods and products. Explore the free information on our website and share it with your friends and family to also help them to be more successful with Mind Maps. So, I wish you all the best for 2012 and hope that you will put in the effort to use Mind Maps more often and more effectively, and enjoy the success that follows!